The Carbonio version of the TLT7 is the new high-end model featuring a carbon-fiber cuff-stiffener. Dynafit switched to lower cost Titantex fiber on the Performance version, leaving an opening for a new boot with full-carbon performance. The Carbonio boots feature the same new UltraLock 3.0 design that combines the upper and lower buckles into one switch. Dynafit has done away with the removable tongue system in the TLT7, opting for a simpler design that retains much of the tongued ski performance and the un-tongued walkability. The result is a boot that weighs less than a kilogram and will take you wherever you want to go. Speed Nose* design eliminates the toe welt and improves climbing efficiency. UltraLock 3.0 system also closes the lower buckle via a specially routed cable. Carbon-fiber lambda frame is a cuff stiffener in lateral and forward directions. Toe pins closer to the ball of your foot means the most ergonomic stride yet. Master Step inserts are easier to step in and stronger for handling big skis. Performance light liner is a lightweight design that breaths and stays warm. Snow Dynamics concept is a shape tailored for plowing through powder. Hey Eric! Shaping-wise, it's the same exact shell. The Expedition has a much, much thicker liner than the Carbonio and Performance though, so it'll fit a little bit differently. As far as the sizing goes though, you shouldn't need to size up or size down with either model as the length seems to be fairly consistent between the two models. Anyone identify the last size on this boot and how it compares in fit to the expedition/performance model? I have access to both those with the expedition fitting a bit nicer, but was leaning towards the carbonio for a stiffer option. Hey Jake! It'll fit identically to the Performance (same liner) but it's going to feel taller over the instep and just the slightest bit wider in the forefoot than the Expedition. Otherwise they are pretty similar in terms of fit. Well-designed, and skis very well. I find that the use of the powerstrap is important in this boot, otherwise the tongue feels too low for me. Having said that, it is a pleasantly stiff boot, and can handle any condition. The ankle articulation is excellent and is very comfortable to tour and hike in. The heel cup is spot on and holds my foot better than any other boot I have skied. The forefoot is wide and somewhat high volume. I had to add a base-board under the liner to take up a bit of space. I like the overall design of the boot, though I would have kept the toe welt for crampons. The boot fits crampons with toe cages (instead of those with a toe bail) quite well, however. Is the carbonio shell the same size as the performance shell? 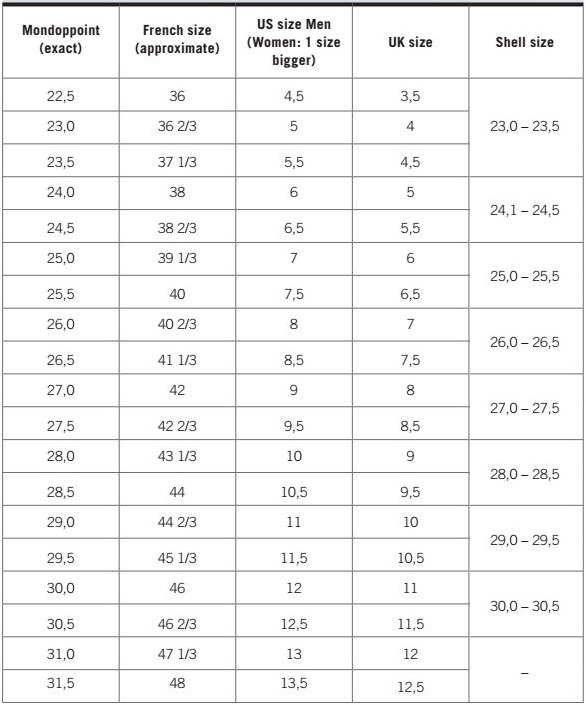 I have a pair of the performance in size 28.5 and was wondering if I order the same size in the carbonio the fit and binding fit will be the same. Hi Marc, the shell is exactly the same shape, just a different mix of materials (carbon in the cuff and lambda frame. Even the liner fits the same. What is the relative warmth of the liners of the 3 versions of the TLT7? It seems like the shells are the the same size. I need warmth above all else. Weight is second. 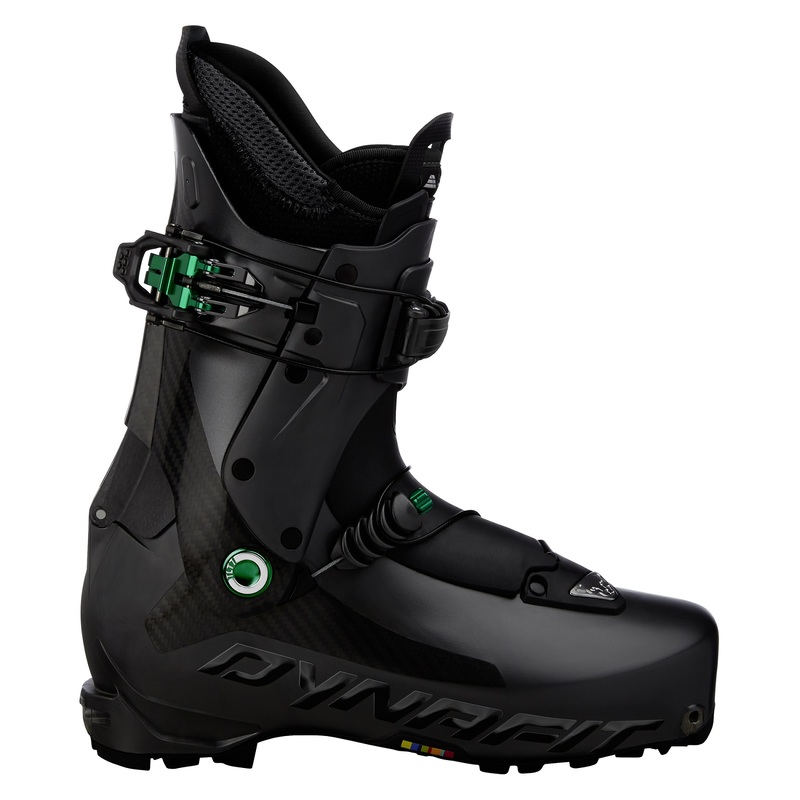 The Expedition boot has the thickest liner out of the three, with the Carbonio and Performance having the same liner. If warmth is your priority, maybe consider getting some boot gloves. They are great for adding warmth without having to alter your boots, and they work. I'm very interested in this boot. I've tried it and it's hard to say which size I am. In the 26.5 my longer left foot hits the front of the boot in walking mode. In the 27, I float a bit. No the liners haven't been heated. Would you try to punch the front of the boot or use thicker soles and likes to make the bigger boot more snug? Hi JS, usually it's better to fit for the smaller foot and expand a touch in the other as necessary. Jason, is the 27 a different shell size than the 27.5 or is the difference still in the liner? Hey RayH, the 27 and 27.5 are the same shell, and it looks like the liners aren't much different at all. "Grilamid® lower shell is still the best combination of weight and rigidity, and can be punched". Hi Steve, the lower shell is still workable since the carbon is in the cuff. We haven't been able to ski the Carbonio version yet (it is a limited production and there were no samples), but I don't expect a huge leap in forward stiffness versus the performance version. The effects will be felt more laterally. Have you had a look at, or a chance to try, the crampon adapter thingy? And are you guys going to carry it as well? Hi wag, yes on both accounts. Though not used in the field yet, we played with installing it on some crampons. First you have to remove the existing bail which can be a bit of an effort with some models. The installation is fairly straightforward and seems reasonably secure. We suspect a lot of folks will opt to use a semi-auto or universal crampon instead though.